As July fourth approaches, it usually means an abundance of picnics and barbecues to celebrate Independence Day. 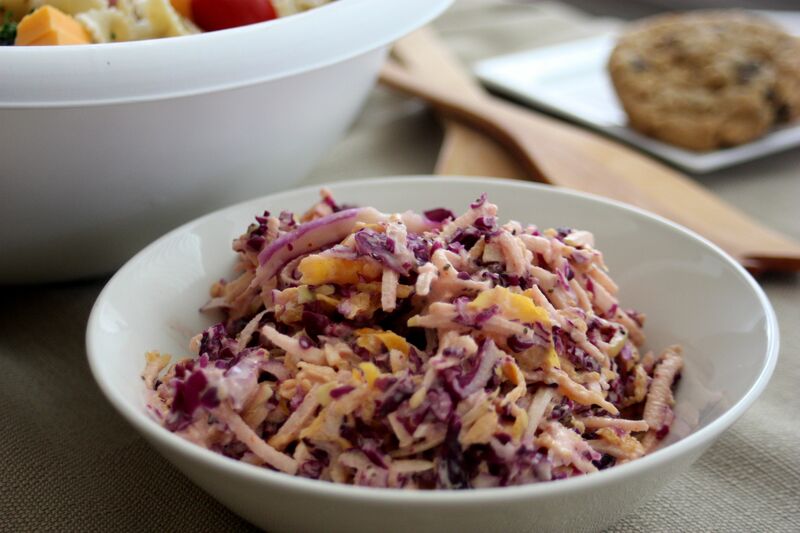 Most certainly the typical fare of pasta salad, potato salad, burgers and franks will be present, as will be . . . coleslaw! 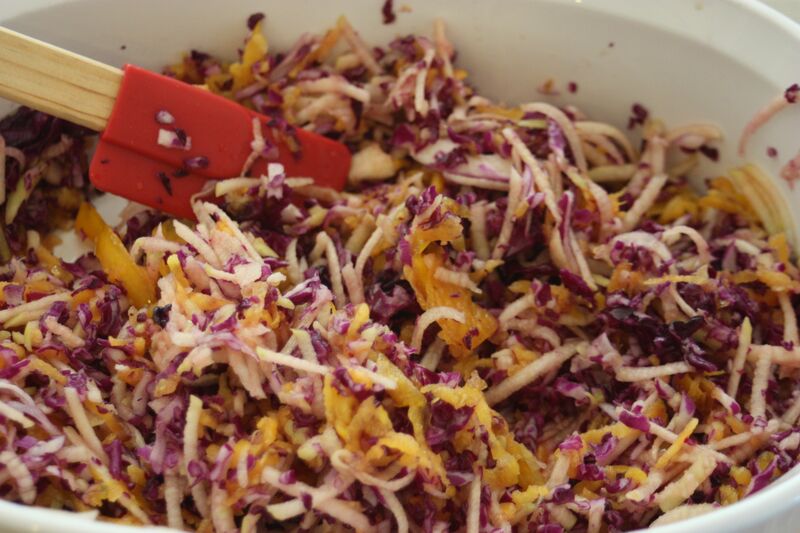 For my contribution to this weekend’s festivities, I’ve decided to bring my vibrant and irresistible coleslaw with a fiery kick. 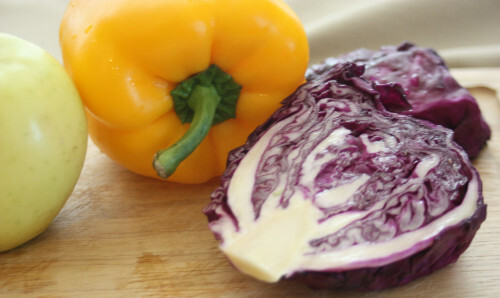 I start with a bit of red cabbage, yellow pepper, and golden delicious apple . . . 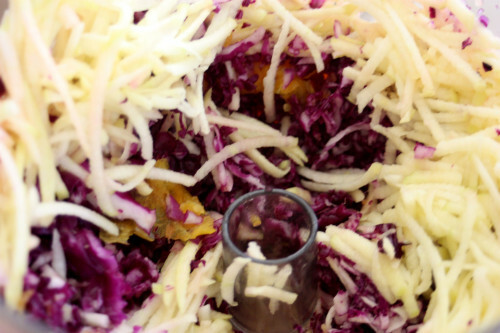 Which get shredded into a kaleidoscope of slaw. Mayonnaise and sriracha sauce provide a creamy/spicy coat and a dash of celery seed gives a bit of extra crunch. That’s it! The bold flavor and color are sure to be a hit. 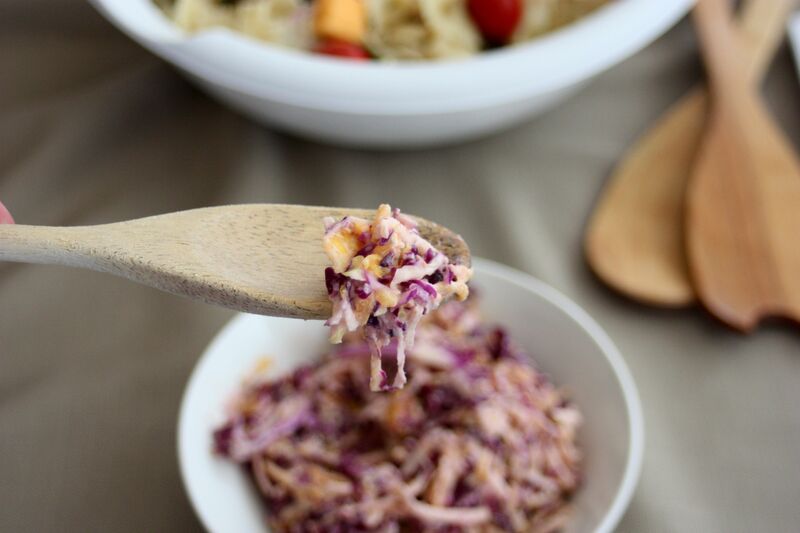 Also, a quick side dish means more time to relax this holiday weekend, spend time with my family, and reflect on how thankful I am for a free country and the individuals who selflessly defend our freedom. Have a happy and safe Fourth of July! Shred the cabbage, yellow pepper, and apple and transfer to a large bowl. Stir in the mayonnaise, sriracha sauce, and celery seed, making sure all ingredients are evenly distributed. Refrigerate until ready to serve.